If you have private health insurance cover, you may be eligible for the private health insurance (PHI) rebate. Most people claim the rebate as a reduction in the amount of premiums they pay to their insurer. The rebate is income tested, which means that if you have a higher income, your rebate entitlement may be reduced, or you may not be entitled to any rebate at all. 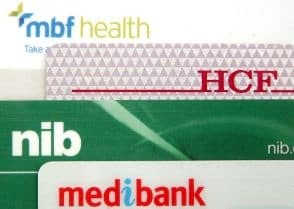 If you don’t have an appropriate level of private patient hospital cover, you may have to pay the Medicare levy surcharge. This information explains how the PHI rebate and Medicare levy surcharge work, and how to complete the relevant sections of your tax return. To be eligible for the rebate, you must have a complying health insurance policy and meet other criteria. The rebate amount will depend on your single or family income. You can claim the rebate as either a premium reduction or a refundable tax offset. The rebate percentages are adjusted by a rebate adjustment factor on 1 April each year. Lifetime health cover (LHC) loading is a penalty that generally applies if you have not taken out and maintained private health insurance from the year you turned 31 years old. The PHI rebate is no longer payable on LHC loading. If you (or any of your dependents) don’t have an appropriate level of private patient hospital cover for the full year, and your income is above a certain threshold, you may have to pay the Medicare levy surcharge. The surcharge is payable in addition to the Medicare levy. In July each year, you should receive a statement from your registered health insurer with details of your policy and premiums paid. You will need this statement to complete your tax return. When you lodge a tax return, we test your income against the thresholds to determine the PHI rebate you are entitled to receive. 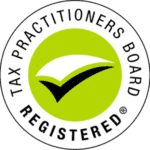 We will send you a notice of assessment, which is an itemised account of the amount of tax payable on your taxable income. Depending on how much PHI rebate you’ve claimed, your notice of assessment may show a tax liability and/or tax offset.